Merton is a London Borough located in the southwestern part of the English capital. Even though there a number of fantastic attractions and sights set on the territory of the borough, such as Wat Buddhapadipa, Jurassic Encounter Adventure Golf and Wandal Industrial Museum, you are not likely to see swarms of tourists here, at least not throughout the entire year. That is because the districts in this borough are mainly residential and some of which even have a suburban atmosphere. So, no wonder commuters have a thing for Merton. The trip to the city centre usually takes locals less than an hour and they have the luxury to choose between different public transport modes. If you want to enjoy an easy commute and to live in some leafy London neighbourhood, the Borough of Merton will not fail to impress you. Merton Park is a small suburb but it perfectly matches that description. The transport facilities and links in SW19 are impressive and you can easily get to pretty much any part of the UK capital if you live here. Another big advantage of living in this fantastic district is that it has a nice selection of large properties in which you can move in no time if you use all-around man and van services in Merton Park SW19. If you do that you will have the amazing chance to live in one of Merton’s greenest areas. It has and it is also located close to many open spaces and even to an entire historic woodland. That is why a couple of parts of Merton are conservation areas. Mitcham, on the other hand, is among the borough’s key commercial districts. Ever since the industrialisation period rolled in, the district has enjoyed a boom. Similar to Merton Park, it is a very leafy area. Mitcham Common, one of South London’s biggest open spaces, is also located here. It covers an area of 460 acres and it even has a few ponds on its territory. The properties in this part of the borough are surprisingly affordable. This, together with the fact that local man and van services in Mitcham CR4 are available at a pocket-friendly price, means that you can relocate to this green spot safely and cheaply. However, transport links in this area are not as many as one would like them to be. Thus, the affordable house prices. Still, if you move to Raynes Park, your trip to the city centre will be only 20-minutes long! Plus, you will get to live a suburb that has one of the highest percentage of green open spaces in the southwestern part of the English capital among which are Cannon Hill Common and Cottenham Park Recreation Ground. The former is a Grade I Nature Conservation area because part of it is made up of an ancient woodland that is home to a wide range of animal and plant species. Hire a skilled man and van in Raynes Park SW20 and move to this interesting part of the London Borough of Merton. Aside from the short commute and green surroundings, you will also get access to good schools and a wonderful shopping street – Coombe Lane. 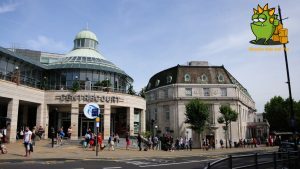 Wimbledon is the most famous district in the Borough of Merton since it hosts the oldest tennis tournament in the world – Wimbledon Tennis Championships. Still, not everything in this area revolves around tennis. 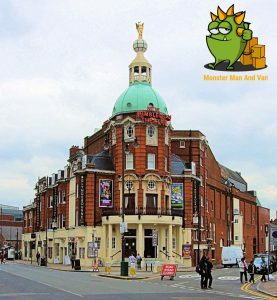 Here you can also find the Grade II listed New Wimbledon Theatre, Wimbledon Common and high-quality amenities including risk-free man and van services in Wimbledon SW19, SW20. This district may be well-known all over the world but once the tennis tournament wraps up, everything quiets down and it instantly becomes more relaxed and tranquil much like the rest of the London Borough of Merton.